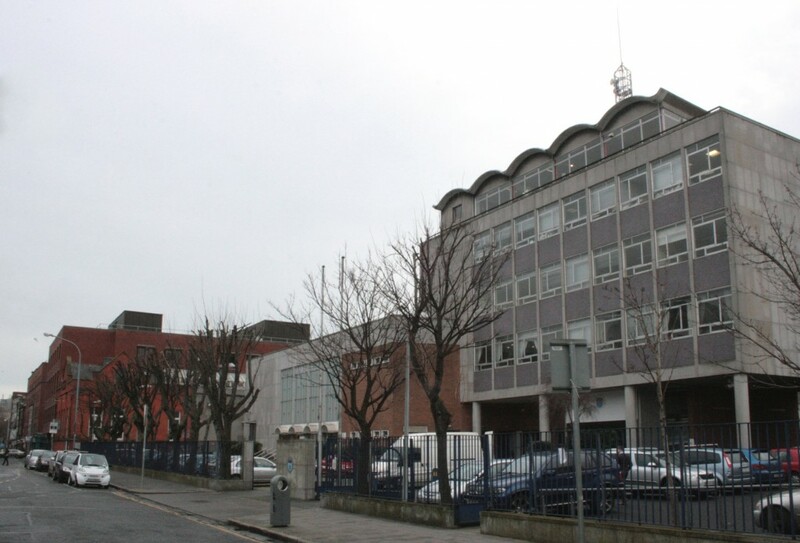 Dublin Institute of Technology has its origins in the City of Dublin Technical Schools, with a Technical College founded at Kevin Street in 1885. There are repairs to an existing building on Kevin Street recorded in 1886, and a new three-storey building in 1897-9 (by C.J. McCarthy), extended in 1898-1900. The Irish Times, July 2 1968, p.14 – ‘An overdue tribute to the role of technical education’, William Hamilton. 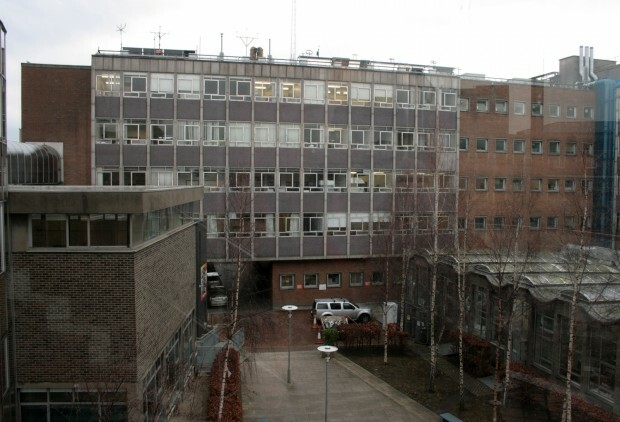 Hamilton described the building as “pleasing, if conformist.” Behind this block, there is an L-shaped range of classroom and laboratory accommodation extending back towards Camden Row, and additional facilities included the physical training block housing the swimming pool, and a bomb shelter beneath the laboratory block. 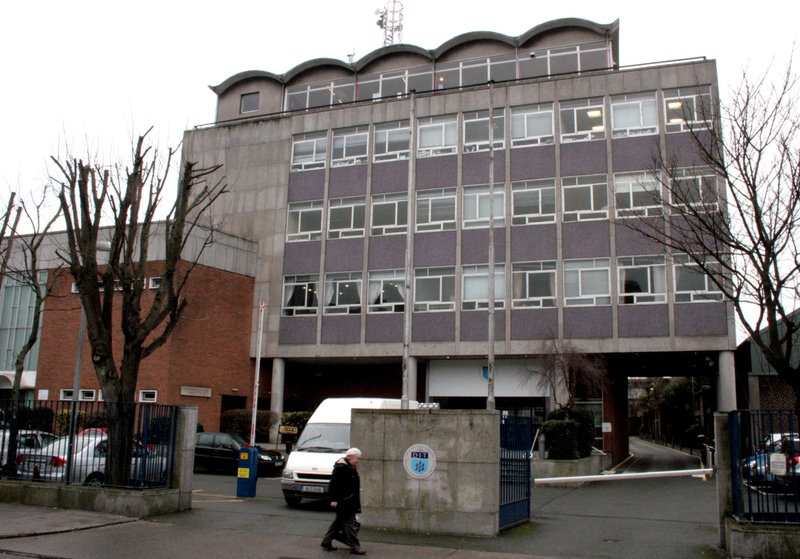 The administrative block was built in in-situ reinforced concrete, while the L-shaped block was constructed from a precast concrete system (G80) for speed and economy (completed in 32 weeks). 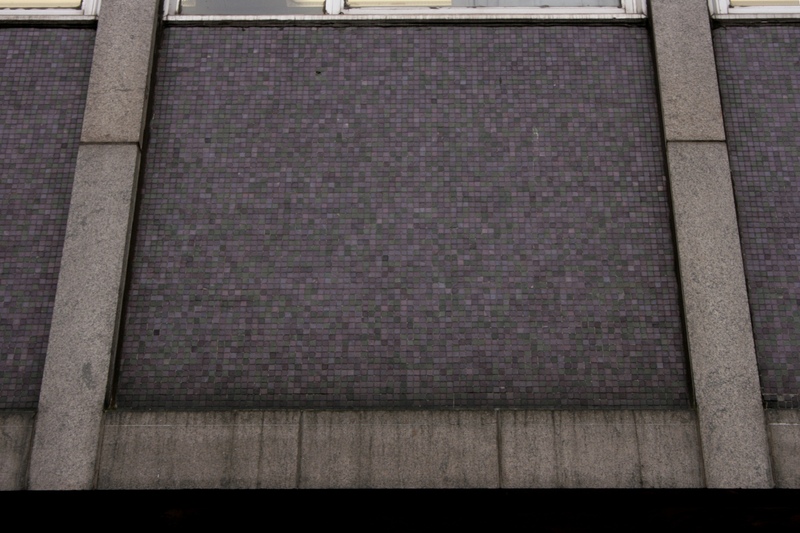 In addition to the brick and granite cladding, and aluminium windows, the purple-grey mosaic is in Italian glass, which appears to have been done by C.S. Murphy of Heytesbury Street, also responsible for the other tiling throughout the College and its pool. 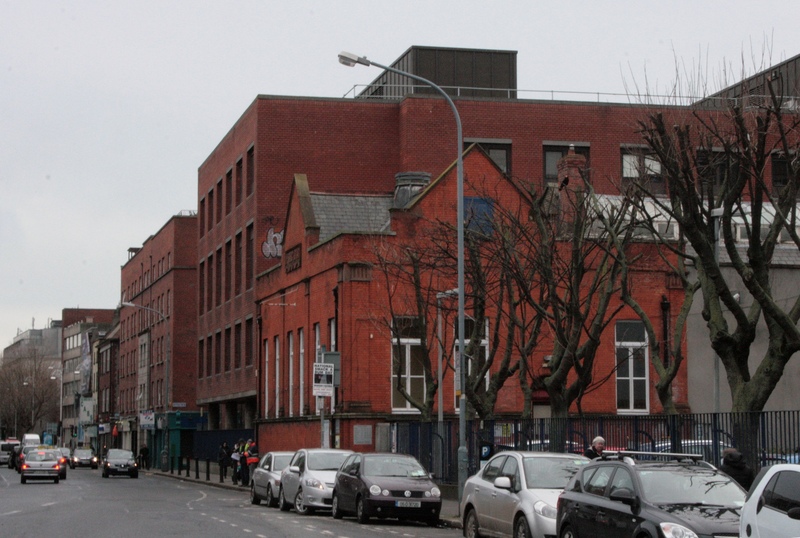 At this time, there was discussion of adding a library building on the site of the public library at Kevin Street, which is now nestled between the extended DIT buildings. In 1987, an additional block (known as the Annex Building) was added, which now houses the library, the student canteen, and offices, labs, and lecture spaces. 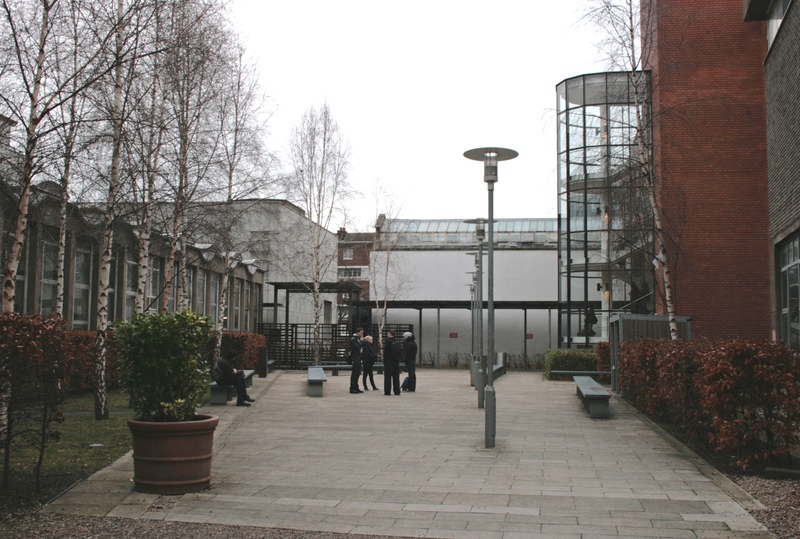 The interior of the block is now a wedge-shaped open area with lighting, benches, and well-maintained landscaping, busy in warmer months and dotted with hardy smokers in winter. There is a bridge connecting the blocks at third floor level (above the pool) as you can see at the far left in the image below, which was taken from the Annex stairs. I’ve had first-hand experience of the building for the past year, studying in the School of Computing, and I was excited to get to know the buildings better – though it’s not to everyone’s taste, I have a sympathy for the International Style, and I’d also always liked the strange purple of the tiles and the waves incorporated into the roofs. As a student, I really enjoyed the corridors of the L-shaped block when I’d some reason to be in there, with the repetition over each floor making it easy to read. 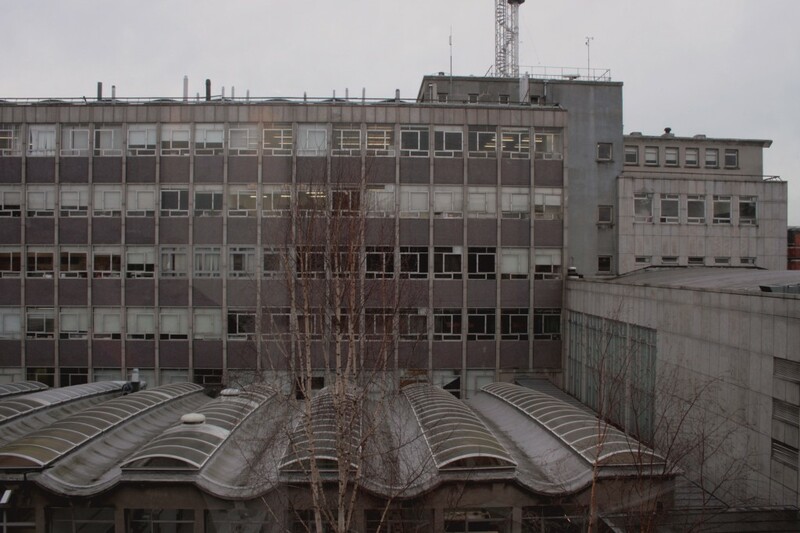 The variety in lecture spaces between the two buildings has been interesting, too, and there’s been an enjoyable few-second challenge in orienting myself to the view from each window, with perhaps a disconnection from the city at times. 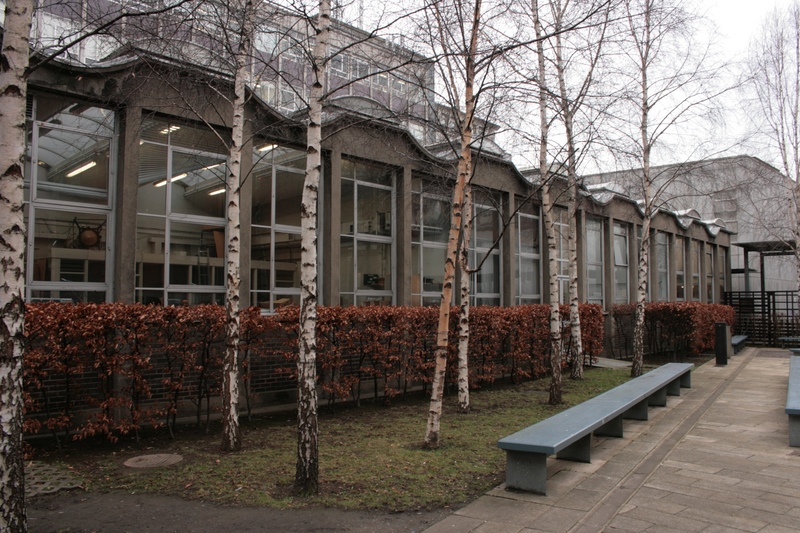 The canopied space at the top of the older building is now the staff canteen, with incredible views over the surrounding streets. It’s not a spectacular set of buildings by any means, and there are some strange moments that feel like relatively near-misses. The Annex canteen is double-height at the centre, with the void rising through the first-floor Snackery (a separate dining area with a small counter for snacks and drinks, and a regular gang of Magic: The Gathering players I kind of wished I could join), but the double-height area is at the centre and the seating is mostly towards the perimeter, with no particular reflection of the ceiling plan. It’s a pity, because there’s a generosity of space, and yet it feels quite dim and stuffy when you use the space. Similarly, the atrium at the centre of the Annex rises the full height of the building, but never feels airy or bright – the staff at the atrium shop would sometimes ask about the weather outside, confirming the effect was a sort of heightened indoorsness. At the same time, the Annex is certainly the social core for the students, and it’s used to the full. 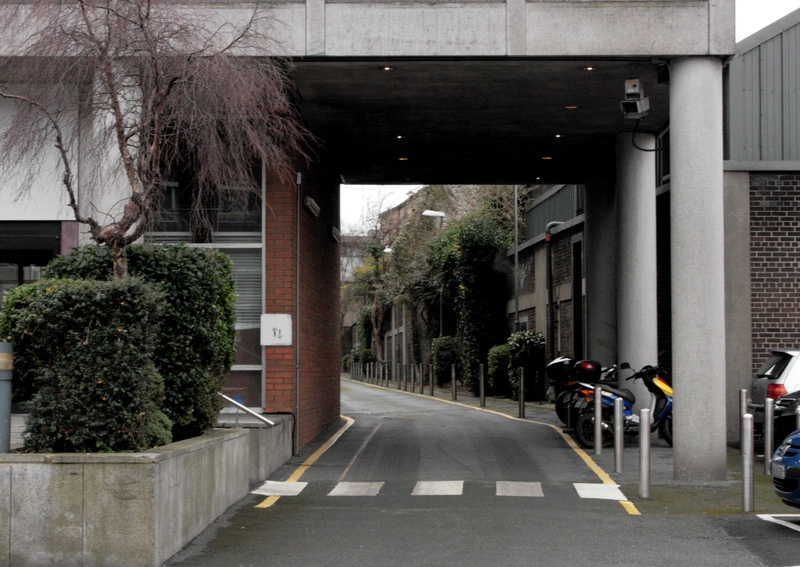 With DIT moving ahead with plans to consolidate into a single campus at Grangegorman, it will be interesting to see how the street currently housing the constituent colleges will change. 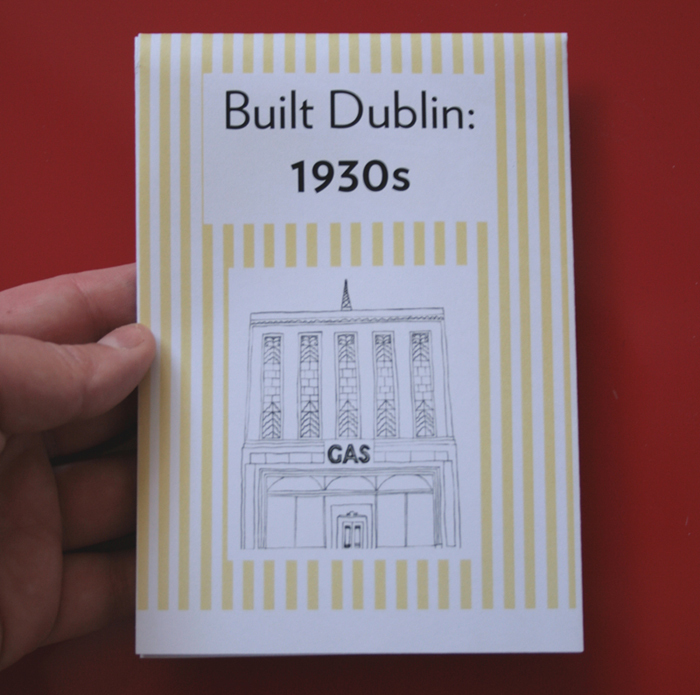 I find the idea of an institution occupying many sites around the city pretty exciting and a positive contribution to the urban fabric, keeping pockets busy and alive. It also offers libraries all over the city to the students, something I’ve enjoyed this past year. Grangegorman is certainly suburban than Belfield, if you’re going to move out of the city, and hopefully the gains from the single site make up for losing the unique sense of spanning the whole city core.